Two days after the accident. 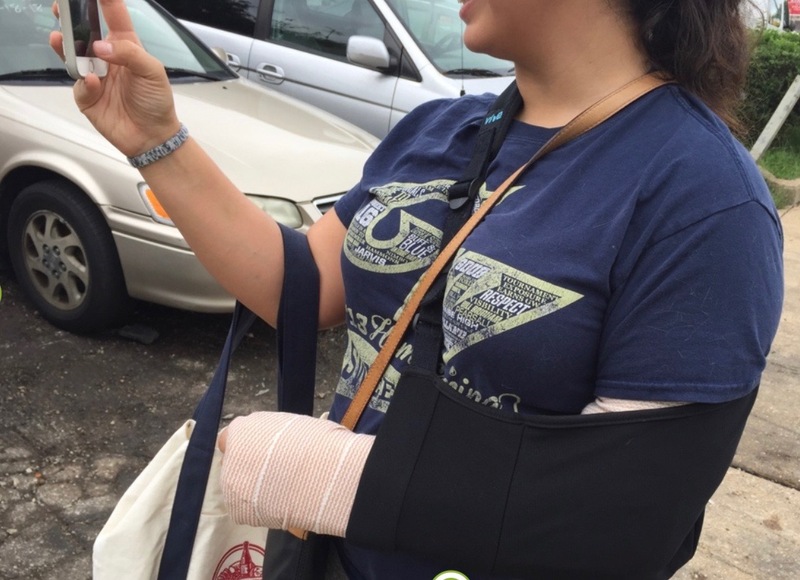 Three weeks later, once she was finished with all the insurance paperwork and was ready to get back to training, Lauren started back with us on October 2, no sling, just the cast. On her first day back, we worked together to get her on a training program using her one good arm. 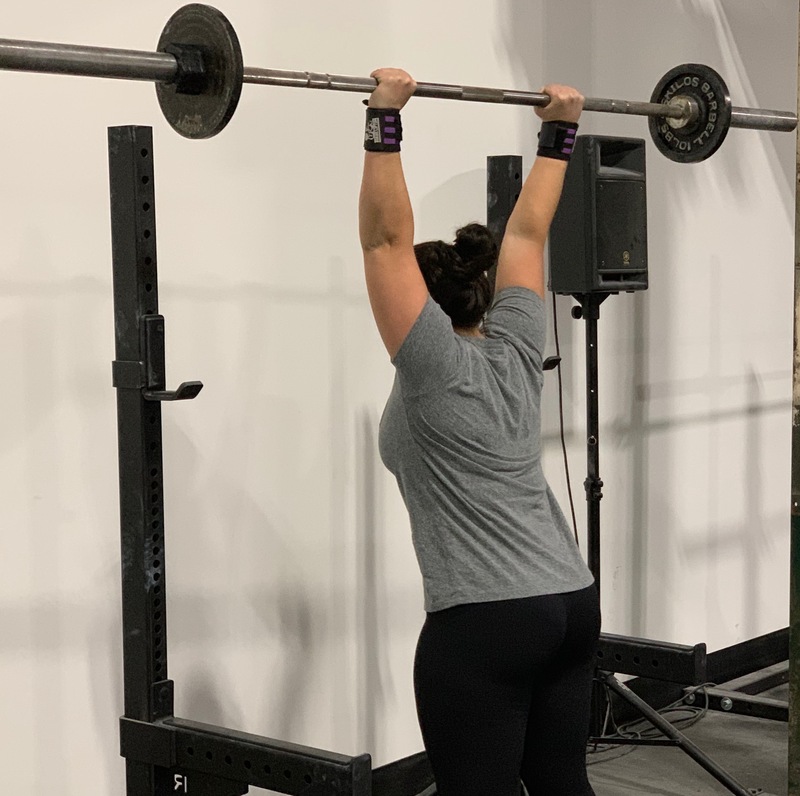 We chose to use the Safety Squat bar for squats and the cambered bar for good mornings since deadlifts were out of the question at the moment. We did want her to work her grip a little so we chose to do some light rack pulls. 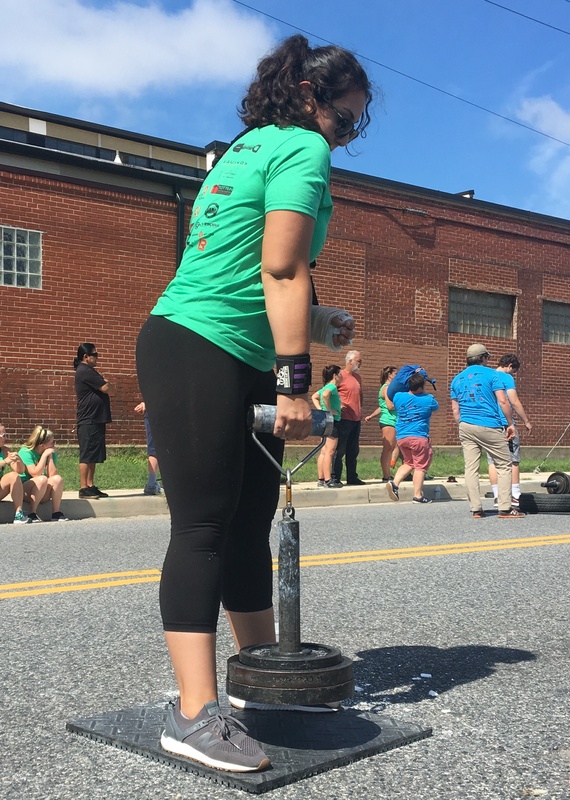 We also wanted to keep some pressing movement in her body so we did one arm presses with the axle in the landmine. On November 1, she started physical therapy, going 1-2 sessions a week for the month of November. All together, she attended 7 PT sessions during the month of November. At her first appointment, the PT advised her not to pick up anything more than 5 pounds. 😉 She continued to deadlift, adding five pounds each session. 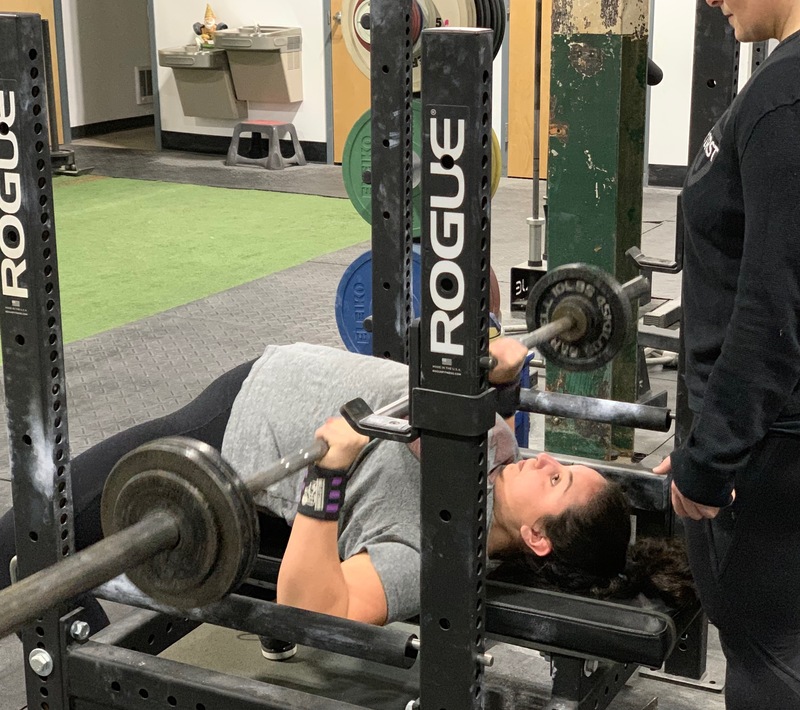 Lauren also started to test her bench and press during this time to see how her grip and wrist could handle the position again. By the end of November, her brace came off and she was cleared from PT. No additional work was needed and the doctor told her she was pretty much completely healed. Lauren immediately started benching and pressing again. On December 1, she benched 60lbs for sets of five and on December 3, she pressed 43lbs for sets across. 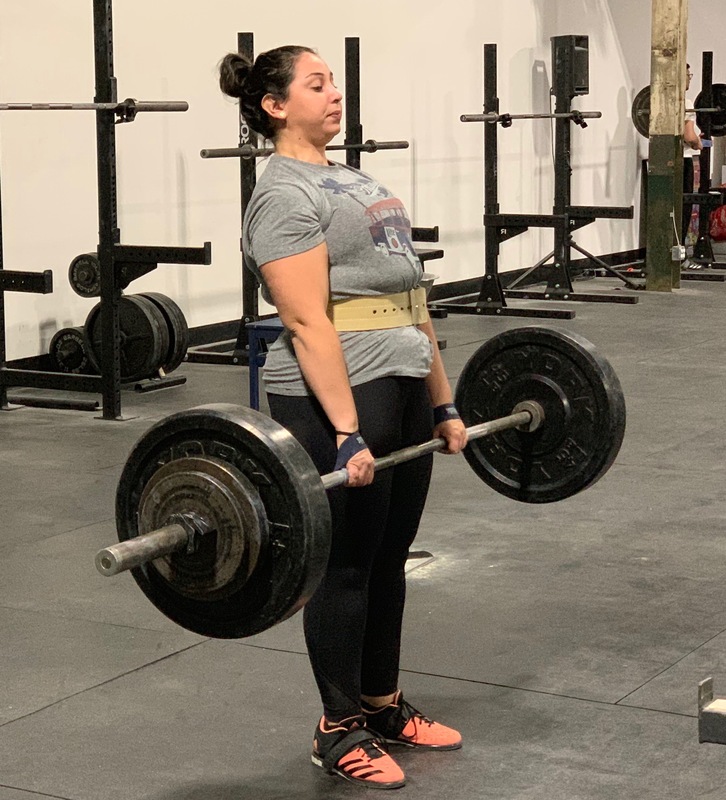 Since she was now lifting regularly again, Lauren continued with her linear progression with all the lifts and decided to continue with the SSB until the end of December. 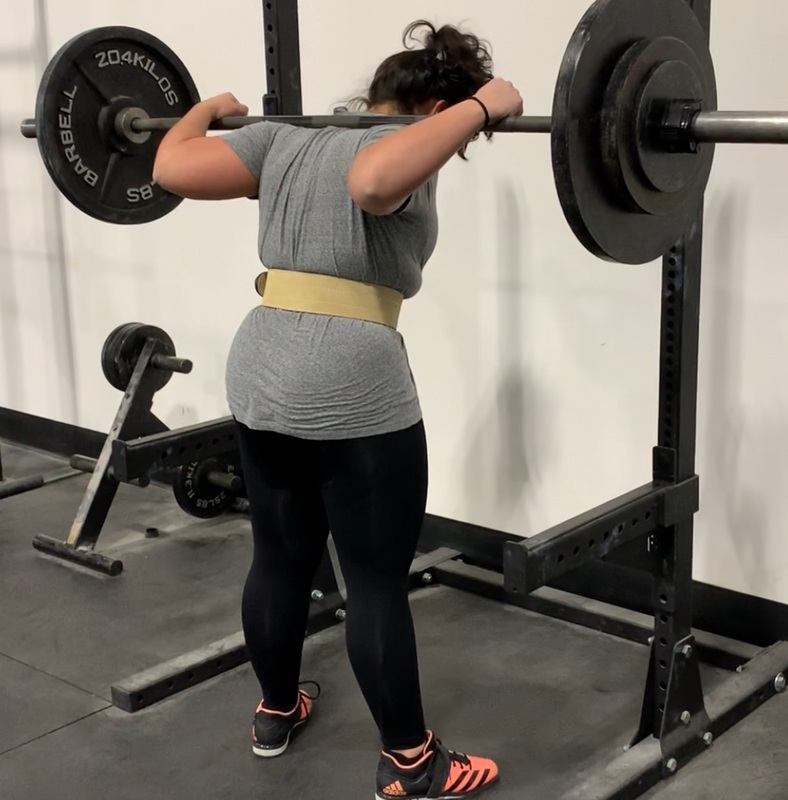 By December 19, she had worked up to the following: Safety Bar Squat: 215lb (PR!!! ), Bench: 80lb, Press: 55lb, Deadlift: 190lb. 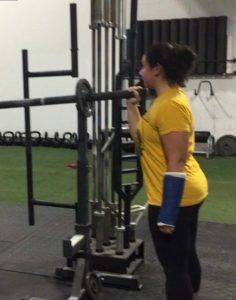 Lauren began training again three weeks post accident and one month before her physical therapy started. 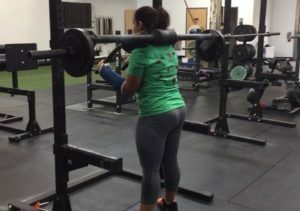 By the time she had started PT, she had been squatting, pressing, doing light rack pulls for grip. 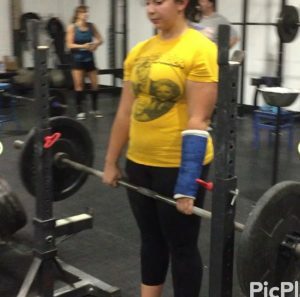 And the day before she started PT, she had returned to deadlifts from the floor. 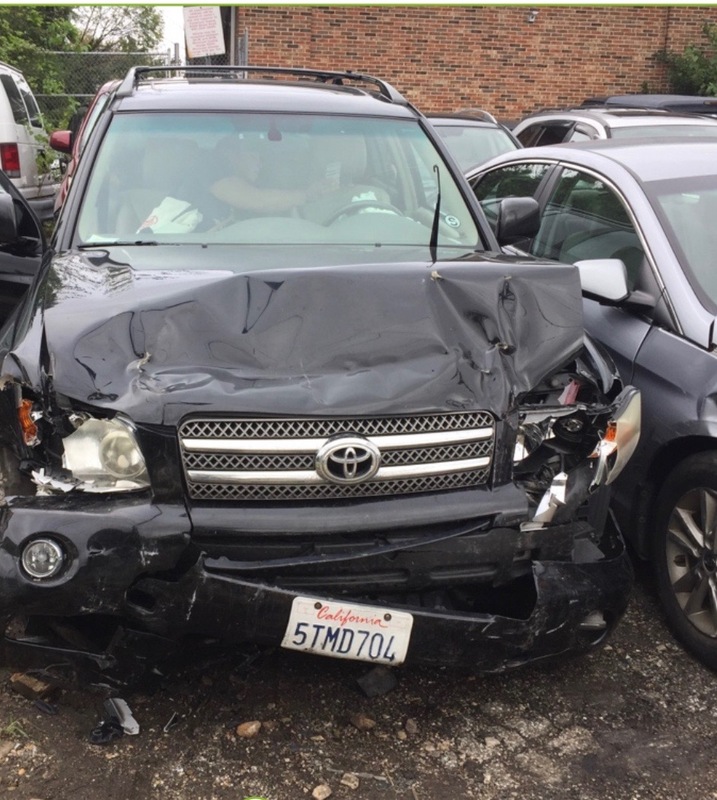 The first thing I thought after the crash was that I wouldn’t get to compete in the Strongwoman competition that I had been training so hard for. After a long day in the hospital, I finally texted Emily to tell her what happened, and she immediately called me to check in on me and offered to drive me to any appointments or errands I needed help with. She told me that as soon as I felt up to it, they would be ready to set me up with a modified training plan. 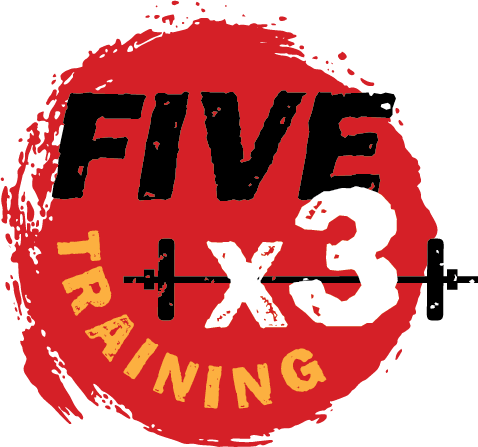 I cannot be more thankful for the coaches and community that I have at Fivex3. During those first few weeks the only thing I had to look forward to was getting back in the gym and when I finally did they kept me moving, helped me hit a Squat PR 100 days after my injury, and have made my transition back to standard programming seamless. If there was one silver lining from the accident, it’s that I have gotten to work on my form and technique at these lower weights, and I now appreciate each gain more than ever. Thank you Emily, Diego and everyone at Fivex3! !